Grease trap cleaning: Like your septic system, your grease trap requires routine maintenance to prevent costly blockages. A & B Sanitation technicians have years of grease trap cleaning and the knowledge of issues that may arise. 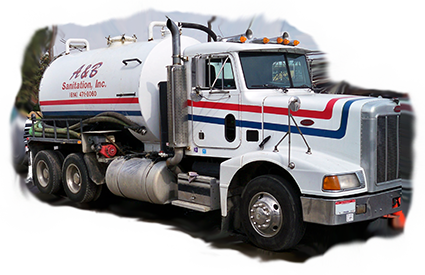 Our crew is equipped with 3500-gallon vacuum truck and we only dispose of the waste at an EPA-approved location. The power and size of our industrial-duty equipment, easily allows us to clean even the biggest and deepest grease interceptors, as well as typical restaurant-sized interceptors.